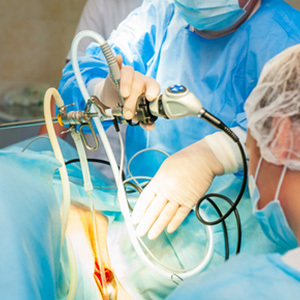 Laparoscopy is the surgical procedure which uses a unique surgical instrument known as laparoscope to appear inside the body or to perform the certain operations. A tiny camera is attached to the laparoscope transmits the picture to the television screen. Then, instruments are inserted into the additional incisions to cut, retract, suture and staple. Why is Laparoscopic Surgery done? According to our Best Laparoscopic Surgeon in Andheri West, Mumbai, Laparoscopy is generally an outpatient treatment in which the patient can go home in 24 hours. After the operation, the patient is likely to feel some amount of pain near the area of incisions. Usually, you can start eating food and drinking water within the 24 hours of operation. Our Best Laparoscopic Surgeon in Andheri West, Mumbai are highly qualified and have incredible credentials in the domain of prostate cancer surgery. Owing to their knowledge and by using the latest technology and equipment, they make the process smooth.